Bill Napier was born in Perth, Scotland in 1940. 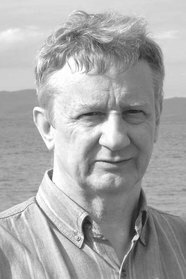 He studied astronomy at Glasgow University and has spent most of his career as an astronomer at observatories in Scotland, Italy and Northern Ireland. He now lives in Southern Ireland with his wife and divides his time between writing novels and carrying out research with colleagues in the UK and California. He is an honorary professor in the Centre for Astrobiology at Cardiff University and has an asteroid -- 7096 Napier -- named after him (it pursues a chaotic, eccentric orbit but is not yet a collision hazard). His fiction includes The Furies, Nemesis and The Lure. He likes to cook but faces stiff competition from wife and children. In a top-secret research facility, a team of scientists receive an unexpected message from the depths of space.